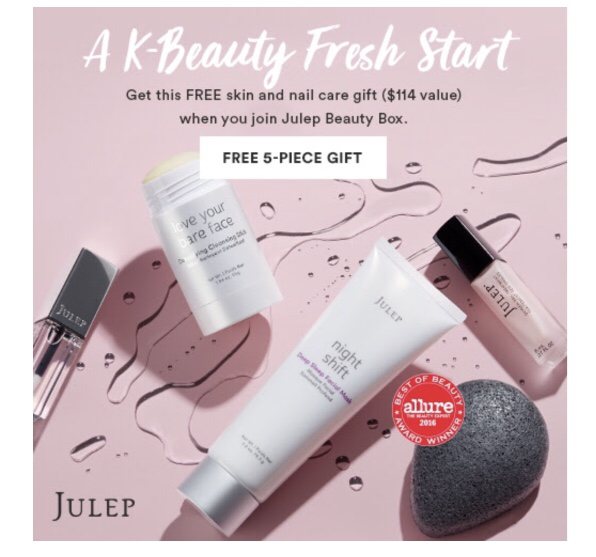 Julep Beauty is a monthly customizable beauty and nail Subscription box. They have two different tiers in plans. The first tier starts out at $24.99+ a month. This GWP is a $114 Value. You’ll receive this GWP with a new recurring monthly subscription. You have the option to skip each month. Each month you can customize your box, so that you get exactly what you want. What item are you looking forward to receiving out of the GWP?